At Old Town Dubai, you will find yourself driven into a world that moves at its own pace but still maintains to be a part of an excitement of living in one of the most active cities in the world. Old Town Dubai is an exclusive short stay lifestyle artfully located at one of the cultural centres of Dubai. The Old Town is set within the heart of the city directly across from the tallest building, Burj Khalifa, and Dubai Mall, &nbsp;one of the largest shopping and cultural centres in the world. The development of the Old Town ranges from low rise three storey apartment building to a number of exclusive and lavish mid rise buildings with Penthouse. Architectural cues found are taken from the traditional buildings that include Al Bastakia neighbourhood of Bur Dubai and the residence of Sheikh Saeed Al Maktoum and Mohammad Shareef Boukash along with the textures that give a reflection of gypsum, clay or sarjool plastering which were used in early twentieth century. Old Town is surrounded by earthy natural tones and magnificent landscapes. With amazing Terraces, balconies, parapets, pergolas, recesses and niches altogether make a comfortable living at the Old Town because of the view enhanced with elegant and magnificent windows and door openings. 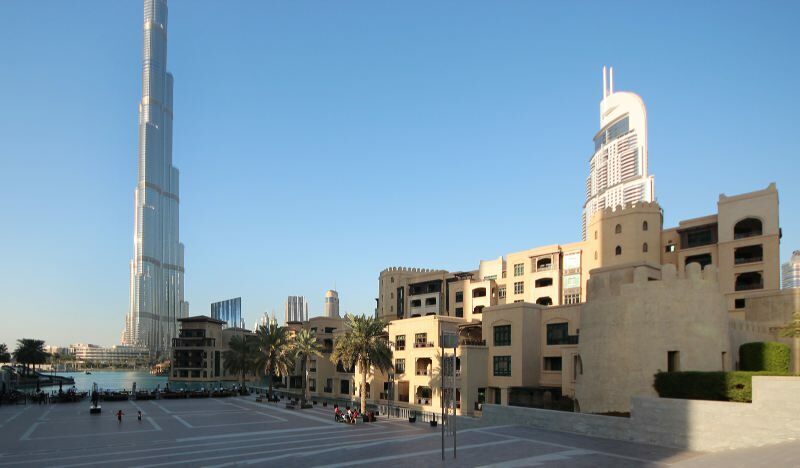 The best place to find a deal either for sale and rent in The Old Town Dubai is Provident Real Estate. With its best team that is professional and expert in the market of the real estate of Dubai will help you in finding the best deal Dubai property market.